Also interesting is the fact that 100 grams of fruit contain no more than 50 calories. Highly recommended for diets and people wanting to loose weight. 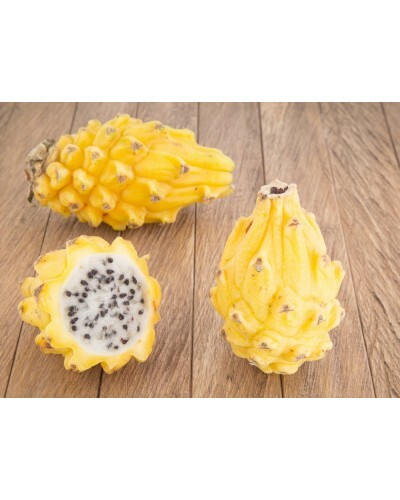 It is very easy to consume, just cut in half and eat with a spoon! 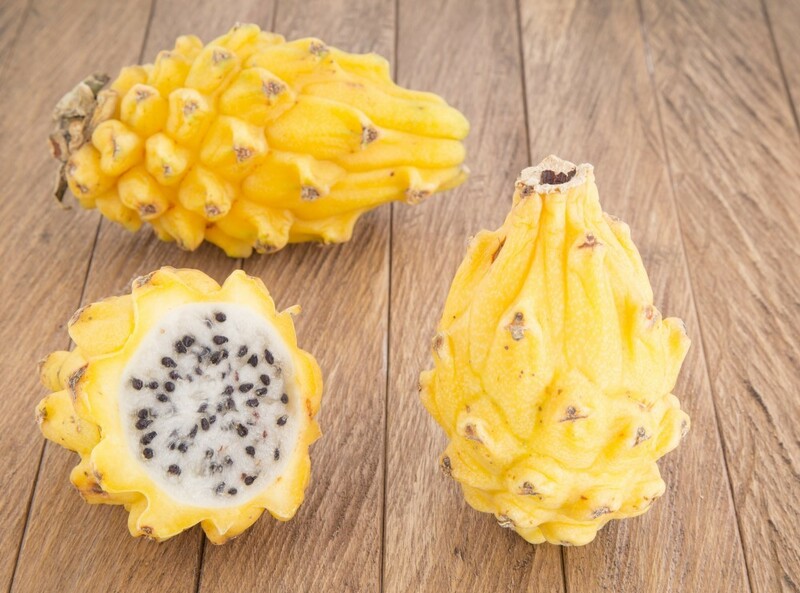 The Yellow Pitahaya is a stunningly beautiful fruit with an intense colour and shape. Its consumption helps the digestive system to work well. 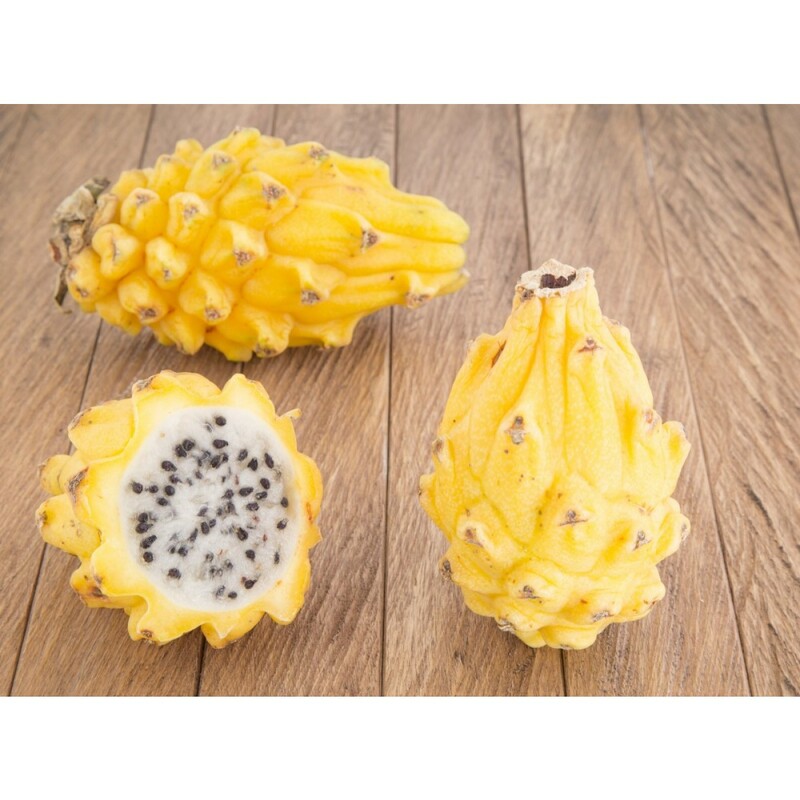 It contains diuretic properties thanks to its fiber, minerals, vitamins and water content (80%). Its flavour is very sweet, delicate and fresh, leaving a refreshingly taste in the mouth.